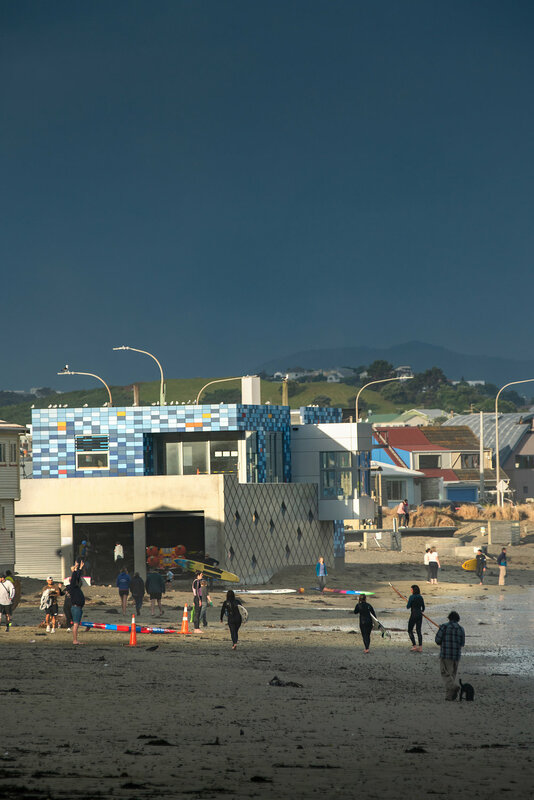 The proposal for a new club house for Lyall Bay Surf Life Saving Club creates efficient and purposed built spaces to meet the future needs of the club. The new club house will replace the existing club house and contains storage areas, changing facilities, a patrol/first aid room and training/lounge areas on two levels. It enables the club to continue its important service to the public of providing surf life guarding to the Lyall Bay beach. The two main purposes of the club, patrolling/life saving on the beach and providing training and storage facilities for its members manifest in the proposed concept of the new club house. 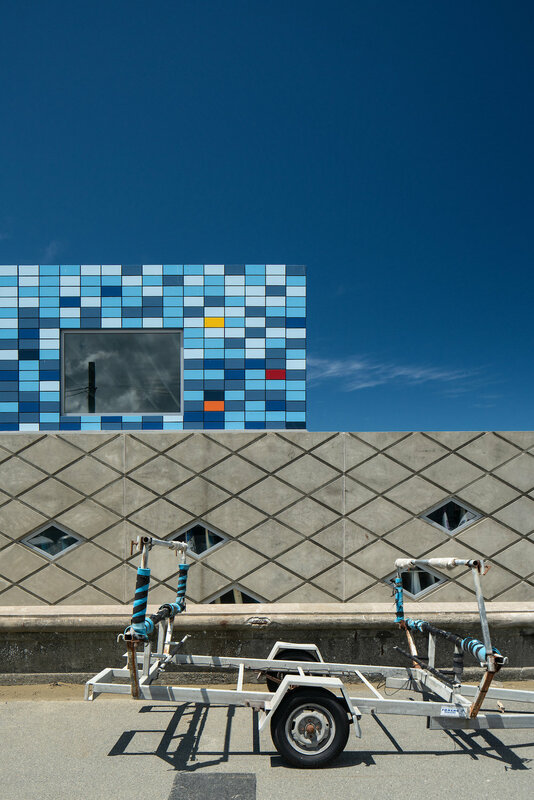 The club area is clad in glazed clay tiles in various colours creating a vibrant and innovative external envelope reflecting the active and energetic nature of the surf club. 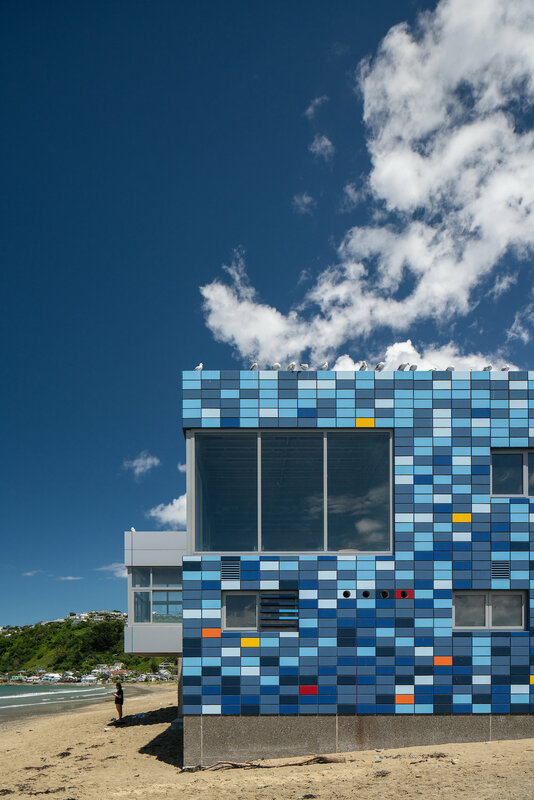 This will positively enhance the surrounding areas and create a new focal point on Lyall Bay beach. A home away from home for families with seriously ill children needing to travel to Wellington Hospital for specialist medical treatment. Families live in the house for as long as their child needs to be treated, and for free. The new facility accommodates 34 families in a variety of apartments with shared communal living facilities. Situated on the western side of Riddiford Street, directly opposite the Wellington Hospital, the objective was to create a contemporary and recognisable building, which acknowledges and compliments its urban context, whilst creating a welcoming retreat for its occupants. The overall design of the building is broken down into a series of vertical bays, acknowledging the predominant pattern of building width in the Newtown area. 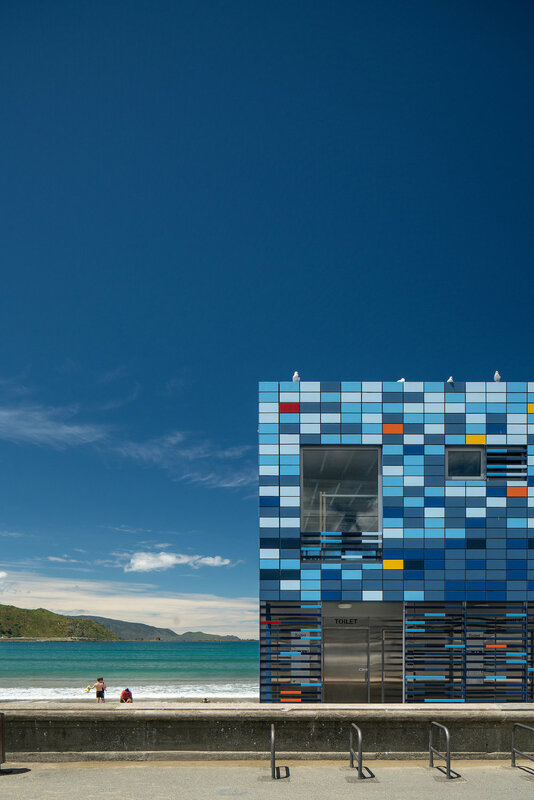 The design has been carefully considered to ensure that all adjacent bays are distinctive, to articulate the expression of a group of individual buildings, whilst maintaining a design language that unifies the building as a whole. To help secure an ongoing future for the Mary Potter Hospice, the Hospice have engaged with Archaus to design a privately managed complex of apartments in the context of their existing Hospice site. The site is located on Mein Street in Newtown, Wellington close to Wellington hospital, with additional access from Owen Street. The project has been designed to fit on an area of unused land to the East of the Hospice and to use a palette of materials and design variety to break down the main mass of the building in to residential scale blocks. The buildings descend the hill behind the existing Hospice, and respects the contours of the land and the neighbouring context, producing a varied form. 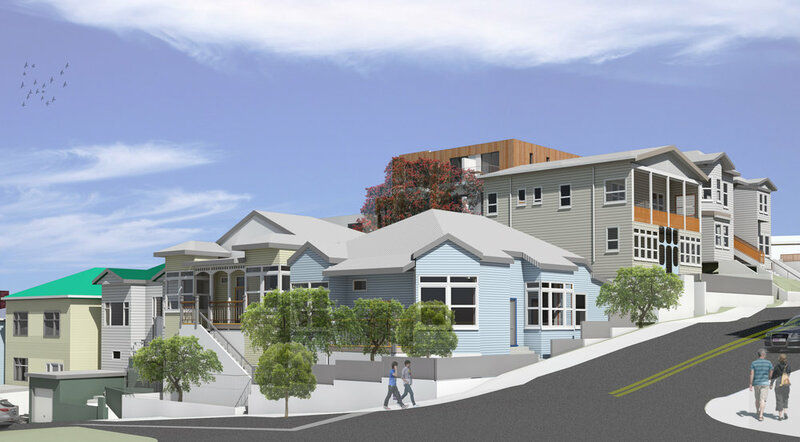 Located in a Special Housing Area, the proposal is aimed to allow more people the opportunity to live in this popular suburb with it’s fantastic connections to Wellington city, whilst providing essential ongoing revenue for the Hospices community services.